You are currently browsing articles tagged femur. The femur or thigh bone is the largest bone in the sloth’s body and one of the most unusual bones of any animal owing to to its tremendous width and eccentric cross-section. The round head fits into a cup-shaped socket in the pelvis or hip called the acetabulum, while the far or distal end forms the knee joint, articulating with both the tibia or shin bone and patella or knee cap. 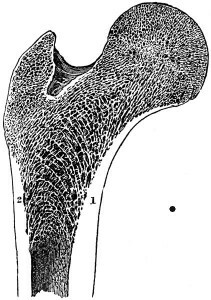 The head of the femur points upward, about 35° below vertical, and angles forward about 45°, matching the backward-pointing hip sock. This gives Megalonyx a unique knees-wide-apart stance. (McDonald, 1977) The distal (down) end of the bone has a shallow wide depression in the center of one side–that’s the trochlea or patellar groove, where the patella articulates. That’s anterior (forward) obviously, so this femur came from the sloth’s left leg. The posterior (back) side of the distal end has two smooth round prominences or knobs separated by a valley of rough-textured bone. The knobs are called the lateral (outside) and medial (inside) condyles, and they articulate with the tibia. Condyl is Latin for “knuckles,” which they surely resemble (big ones). The lateral (outside) condyl is the smaller of the two and relatively flat, but the medial (inside) knob is larger and rounder, in fact, another ball. The round articulating surface accommodates the changing angle the femur makes with the tibia, plus the rotation that occurs at the knee joint. The larger area shows it supported the majority of the sloth’s weight. 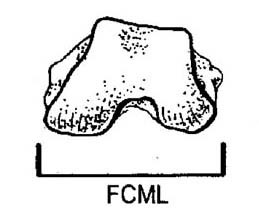 The condyles extend far back on the dorsal surface of the femur and are not connected to the patellar groove in a smooth continuous surface as in human knees. There is a gap just where it would be needed if the sloth were to straighten its leg. (Hold the femur vertically and confirm this.) Walking or standing, Megalonyx always had its knees bent. The rough-textured valley between the condyles served to anchor the anterior and posterior cruciate ligaments (ACL and PCL). They helped keep the femur from slipping off the tibia backward and forward respectively. Two more ligaments, the medial (or tibial) and lateral (or fibular) collateral ligaments, anchored proximal to (above) the condyles, on the epicondyles kept the knee from slipping sideways and reduced the bending stress on the joint. Cartilage, muscles, ligaments and menisci (i.e. soft tissues) are largely responsible for keeping knee stable, which is one reason why we injure them so often in sports vardenafil otc. We didn’t find a knee cap (patella) at the Tarkio Valley site but we know from other sloth discoveries that they are about five inches long, four inches wide and about two inches deep in the middle. (Leidy, 1853) The articulating surface is pear-shaped, with the broader side medial (inside) to match the shape of the trochlea. #2 Stand the femur up on a desk or table with the condyles on the inferior (lower) end flat and horizontal, as they were in life, to articulate squarely with the tibia or shin bone. The shaft isn’t standing straight up and down but rather the distal end slants toward the lateral (out) side about 12°. That is more than some other adults of this species, but the outward slant is a rule. 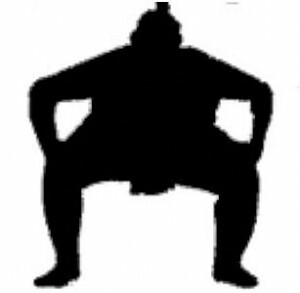 (McDonald, 2007) Megalonyx stood with its center of gravity low and feet wide apart, knees bent, like a sumo wrestler or football player waiting for the snap of the ball, making it very stable. 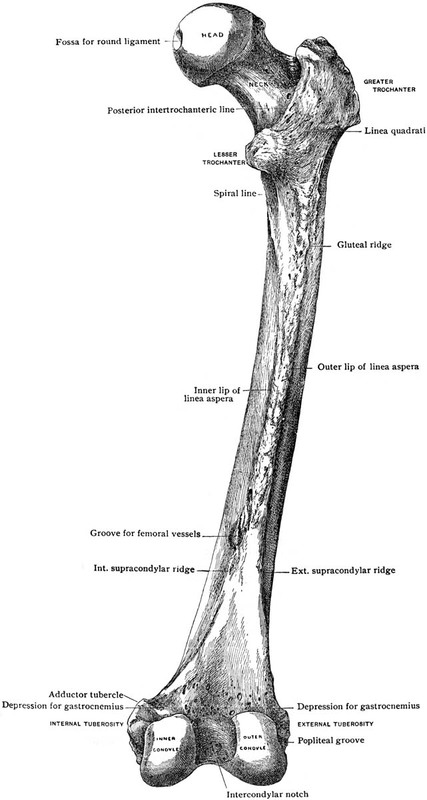 The femur has to be broader side-to-side to keep the weight of the animal close to the column of supporting bone. Wide-spread knees had another advantage: they better accommodated sloths’ giant bellies. Knees that flexed straight ahead, like ours, would have been obstructed. (Preuschoft and Tardieu, 1996) The widespread stance puts a inward bending stress on the shaft that is magnified by the sloth’s wide hips. The bending stress is tens of times greater than the compression stress caused by the sloth’s weight. (Pauwels, 1980) Growing wider to add support in the direction of the stress prevents the bone from fracturing. (Wilson and Carrano, 1999) In humans the femur slants in the opposite direction, that is medially (inward), putting our centers of gravity directly over our ankles and feet. 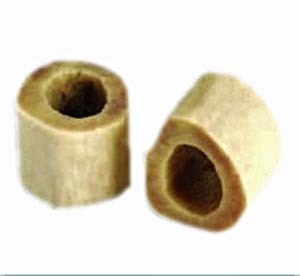 With our weight more evenly balanced, our femora can be round, basically, in cross-section, as are the thigh bones of most quadrupeds (they also have have two “extra” legs to help even out the stress). Wide hips and wide-spread, deeply flexed knees meant an inward stress and an eccentric cross section unseen in the animal kingdom since a few giant bipedal dinosaurs. (ibid.) Most large heavy mammals adapt to the heightened stress on their femora by adjusting their postures and walking with straighter legs. (Biewener, 1989) However, given their knee morphology, that option wasn’t available to sloths, so growing broader was the next-best evolutionary solution. #3 Anthropologists studying human evolution consider our inward slanting femurs (i.e. 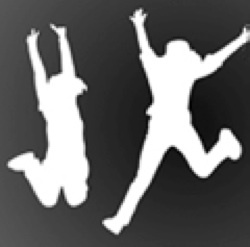 positive bicondylar angle) proof of when our ancestors achieved bipedalism. (Tardieu and Preuschoft, 1996) A negative bicondylar angle wouldn’t have prevented Megalonyx from walking upright, but the animals would have had to expend a lot of extra energy shifting their huge weight from foot to foot, swaying widely as they walked, shifting their center of gravity from foot to foot. #4 Hip and thigh muscles attached to the femur have a dual purpose. It goes without saying they help animals walk, but the muscles have a function that is easy to overlook in bipeds: with your feet planted, they work in the opposite direction, i.e. they move your torso. No effective movement of the upper body (e.g. bending, reaching, lifting, pulling, carrying, throwing, etc.) is possible until the upper body is oriented properly and the weight and acceleration of the torso and forelimbs are controlled by the muscles of the hips and thighs. (Marzke et al., 1988) It seems strange to look at the femur for answers about what Megalonyx was doing with its arms, but the clues are there aplenty! Unlike other animals, the sloth’s long bones (i.e arm and leg-bones) don’t have a marrow cavity in their centers. Instead, the bones are filled with an arrangement of thin, closely-packed boney walls and blood-filled pockets called cancellous or trabecular bone. 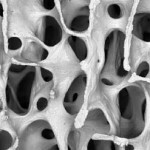 In most animals, including humans, the sponge-like cancellous tissue is limited to just the ends of the bones where it acts like a shock absorber, distributing the stress on the joints. (Oxnard, 1990) The shafts of our long bones are hollow cylinders, a evolutionary design that minimizes weight and allows greater speed. Birds, of course, take maximum advantage of this. Bones like the sloth’s could support much heavier weights, at the cost of some speed. Some femoral heads are rounder than others. Cursorial mammals (i.e. those that can run fast) and mammals living in open landscapes (e.g. 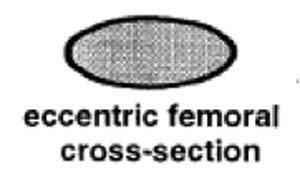 grasslands) have femoral heads that are elliptical (oblong) to restrict hip rotation to just forward and back. They can’t rotate their femora laterally (sideways), which is advantageous for running fast. They can use all of their thigh muscles for propelling themselves straight ahead and don’t need to waste any muscles or energy trying to keep their femora from twisting laterally and their legs from going askew. (Kappleman, 1988) Animals living in closed landscapes (e.g. forests), like sloths, may have to turn and dart in any direction when a predator suddenly springs at them. They have round femoral heads to move their legs forward, back and sideways. They don’t have the muscles to run as fast, but they’re “slippery.” Round femoral heads also gave bipedal herbivores like the sloth, and perhaps our own ancestors, the ability to browse more efficiently and stick their heads in clumps of leaves or hanging fruit and gather food in a wide circle just by rotating their hips. The flexibility of the head of the femur is repeated in the knee. Fast running animals have deep narrow patellar grooves restricting movement of their knee caps and lower legs to straight ahead, again, to facilitate running. (Tardieu, 1981) Wide, shallow patellar groooves allow greater freedom of movement of the lower legs and more flexible placement of the feet. That’s a handy adapatation to have when you’re moving over uneven ground with size XXXXL feet! Stand up and browse like a sloth with round femoral heads and flat wide patellar grooves. Compare your femur to the sloth’s Buried inside our legs and surrounded by muscles it not easy to tell how big human femurs are. Use a ruler or tape measure to make a few simple measurements of the sloth’s femur and compare it to the average human’s. What does this tell us about the size of sloths? We’ll check our predictions below in the Mathfun exercises. 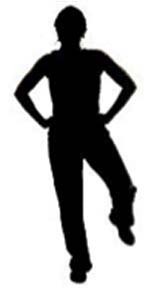 Flex Your Muscles2 Try standing on one leg again like you did above. Find the greater trochanter and now locate the third trochanter (T-3), a bit lower on the outside of your planted femur. You probably won’t find a bump like on a sloth, but if you lift your opposite leg you should be able to feel your gluteus maximus muscle tightening. As its name implies it’s the biggest muscle of your rump. It arrises from the back of the illium, and the sacrum and coccyx (tailbone). Follow it down to its insertion on T3. It’s a small bump at best in most humans, but in sloths it’s very prominent. Scientists consider it one of the special and most visible characteristics of sloth femora. (McDonald and de Iuliis, 1998) Look for it midway down the shaft. Why are the greater and third trochanters so much larger in sloths? Try walking bow-legged, with wide-spread bent-knees, like a sloth. Go slowly. To stay balanced you need to rotate your torso over the planted foot, and you do that with the gluteus maximus. Notice that when you go to swing your leg you extend your hip slightly to give your swinging leg a little lift and momentum. The gluteus maximus does that too. Walking with wide-spaced hips and knees, a negative bicondylar angle, and at a slow pace, Megalonyx had to rotate its torso and balance its massive load with every step, swinging its wide hips to maintain its center of gravity over its planted foot. 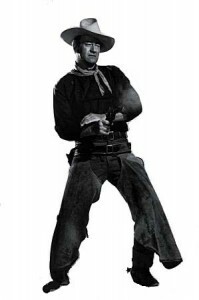 John Wayne walked like a sloth, but don’t tell him–them’s fightin’ words pardner! 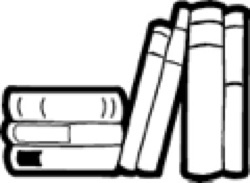 Flex Your Muscles3 Find a thick book and stand with your toes on the ground and heels on the book facing “down-hill.” Can you feel gravity pulling you forward and your muscles straining to pull you back? That’s your popliteal muscle working. 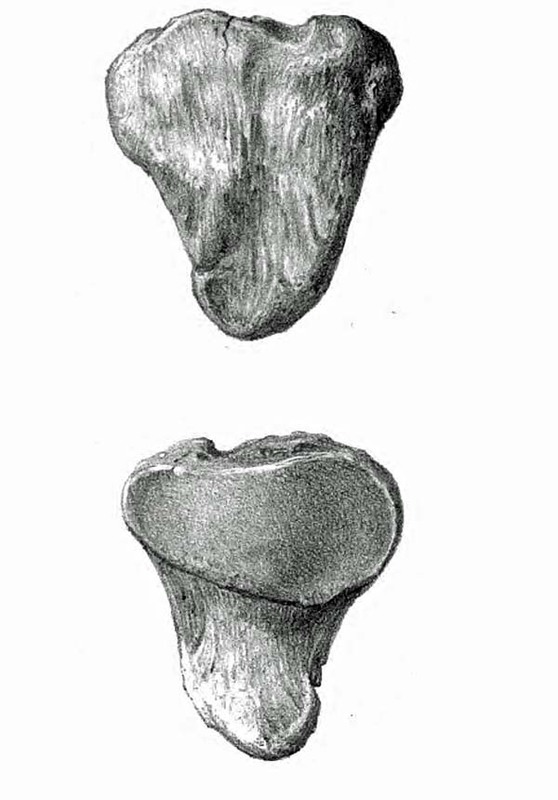 The popliteal is anchored on the distal end of the femur on the lateral (out) side of the epicondyle. Its tendon wraps around the back of the knee and inserts on the back of the tibia. The muscle flexes the knee and rotates the lower leg medially (inward) when needed, and aids the posterior cruciate ligament (PCL) in preventing forward dislocation of the femur when the knee bends. It’s a relatively small muscle in humans because our center of gravity is well behind our knees making flexing easy. Sloths, on the other hand, with their big feet, could shift their center of gravity in front of their knees, making the popliteal (and digital flexor muscles) important for pulling back and maintaining balance. A sesamoid called the cyamelle forms in the tendon of their popliteal muscle, essentially a second “knee cap” on the back of their knees, to increase its leverage. It’s a sizeable bone, measuring about 2 in. long, 1 in. wide and about 1 in. thick, shaped like a pyramid. (McDonald, 1977) The only time humans give their popliteal muscles a heavy workout is when they ski or hike downhill, or walk in high-heeled shoes. Don’t ever tell a fashion model she walks like a sloth . . . if you thought you were in trouble with John Wayne before, just wait! Math fun1 The femur is the first bone scientists usually look for to estimate someone’s stature (height). Such formulae work best when they are used exclusively on their intended population, but just for fun let’s pretend our adult sloth was a white male growing up in America in the 20th century. Estimate the sloth’s stature and compare the answer to the estimates based on other bones. Is the length of the femur a good parameter for estimating stature in ground sloths? 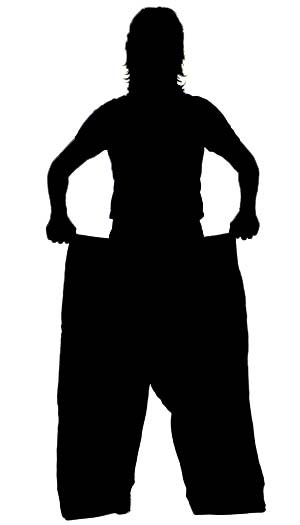 Stature (in centimeters) = 2.32 X length of the femur (in centimeters) + 65.53 ± 3.94 cm. Math fun2 Under some circumstances (e.g. fires, mass disasters, etc.) a whole femur may not be available to estimate stature. To address such cases, forensic scientists have developed formulas for making height estimates from femoral fragments, especially the head, which often survives such calamities in-tact. Just for fun let’s pretend our adult sloth grew up in present-day America and apply a formula developed by Giroux and Wescott (2008). Use a ruler to measure the mediolateral diameter of the head of the femur (HD) and plug the measurement into the formula. Compare your answer to your calculations based on other bones. 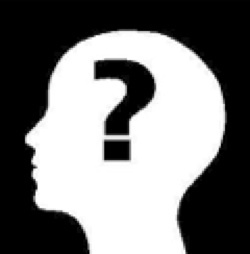 Is the head a better starting point than the length? Height (in inches) = 39.9 + 15.73 X HD (in inches) ± 5.4 in. Or, height (in millimeters) = 1013.6 + 15.73 X HD (in millimeters) ± 134.5 mm. The diameter of the femoral head may also used to estimate the sloth’s weight. See the next activity. 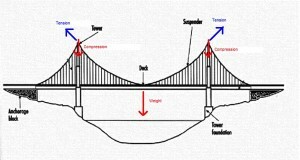 *note, this is perpendicular to the measurement used in Math Fun2. Math Fun4 (for advanced students) Anderson (1985) offers a formula for calculating the mass of a bipedal animal from the circumference of their femora. However, the eccentric cross-section of the sloth femur presents us with a dilemma. Should we use the minimum diameter and assume the shaft is round? Or should we use the actual (eccentric) circumference? Defend your answer. Math Fun5 (for advanced students) Ruff (2003) suggests the femoral condyl mediolateral distance (FCML), that is the width of the knee, is a better predictor of mass in primates than the femoral head or the diameter of the shaft, or more complex measurements of the joints, like their total surface area. Results based on those are apt to be confounded by issues of an animal’s habitual body position and joint excursion rather than simply mechanical loading. FCML, he suggests, is “locomotor blind.” (ibid.) All knees have a cancellous interior so we can eliminate that as a confounding factor also, and the collateral ligaments of the knee eliminate the bending stress on the joint so that all that is left is the stress of compression (i.e. the mass of the animal) as the determining factor. (Pauwels, 1980) Measure the sloth’s FCML at the most posterior point and compare the results to our other estimates. Measure the femur and calculate the estimated weight of the adult. Do you see any problems with using this approach? The Jefferson Puzzle: Thomas Jefferson only had the distal (knee) end of one femur to identify and estimate the size of his “Giant Claw.” The other femur, complete by some accounts, was reportedly employed to prop up the kettle used by the saltpeter miners who uncovered the bones, to process the valuable mineral, a vital ingredient in gun powder (Jefferson, 1799). He delayed publication of his analysis of the bones as long as possible hoping the femur would be tracked down, but it was never seen again. See the claw lesson for a description of this activity. Why do paleontologists put so much effort into estimating the weight of an extinct animal? Knowing an animal’s weight is the cornerstone of understanding how it lived; it allows scientists to predict many ecological and physiological parameters including basal metabolic rate, birth rate, gestation period, life span, age at first reproduction, litter weight, population density, group size, how much it ate, territory size, and many other factors. (Peters, 1983; Schmidt-Nielsen, 1984) Can you think of ways these factors may be related to weight? It’s clear that trabecular bone plays an important structural role in animals, and that’s especially true in sloths. However, correlating the characteristics of the bony architecture with specific mechanical functions has been difficult. Recent research has shown a multivariate approach considering the number, thickness, connectedness and degree of directionality of the trabecular walls in the head of the femur, using CT images, can distinguish significant differences between bipeds, quadrupeds and brachiating (tree-swinging) primates. (Ryan and Shaw, 2012) Human femoral heads have a unique structure characterized by a relatively low number of thin concave plates showing s high degree of directionality (i.e. non-random orientation); other unique characteristics distinguish the femoral neck of humans. (ibid.) Whether these differences are functional or phylogenetic is yet to be determined but the technology holds out the promise that it may help to resconstruct the locomotor behaviors of different species of sloths. The sloth’s femora are unlike any other animal’s. With a 3-way system of reinforcement and bracing including: 1) an eccentric cross-section; 2) giant lateral protrusions for muscle attachment, and; 3) an internal bony structure unique in the animal kingdom. Add in its short length, and the bone suggests unparalleled and unbalanced strength. There is strong evidence in the way the bone developed and expanded laterally from top to bottom, that walking upright was the objective. It’s impossible to conceive of a quadruped putting such large lateral stresses on its femora; likewise, an animal merely rearing up occasionally and standing on two legs. Strength and lateral development like this can only come from a biped stressing its femora regularly by standing on one leg in an unstable equilibrium, i.e. walking. We’ve looked at most of the rest of the skeleton already and decided it supports this interpretation. There’s only one part of the sloth we haven’t examined and that’s the vertebral column. We’ll look there next for confirmation. Aiello, L. and Dean, C. 1990. Introduction to Human Evolutionary Anatomy. Academic Press Limited. San Diego, CA. Anderson, J. F., Hall-Martin, A. and Russell, D. A. 1985. Long-bone circumference and weight in mammals, birds and dinosaurs. Journal of Zoology, London 207: 53-61. Bass, W. M. (1971) Human Osteology: A laboratory and field manual of the human skeleton. University of Missouri. Columbia, MO. Biewener, A. 1989. Mammalian terrestrial locomotion and size. BioScience 39: 776-783. Davis, D. D. 1964. The Giant Panda: A morphological study of evolutionary Mechanisms. Fieldiana, Zoology Memoirs 3: 1-364. De Toledo, P. M. 1996. Locomotory Patterns Within the Pleistocene Sloths. Ph.D. thesis Department of Geological Sciences, University of Colorado. 316 pp. 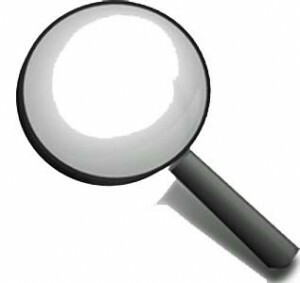 Educational Technology Clearinghouse, Florida Center for Instructional Technology, College of Education, University of Southern Florida http://etc.usf.edu/clipart/. Fariña, R. A. , Vizcaíno, S. F. , and Bargo, M. S. 1998. Body mass estimations in Lujanian (late pleistocene-early holocene of South America) mammal megafauna. Mastozoologia Neotropical 5: 87-108. Jefferson, T. 1799. A memoir on the discovery of certain bones of a quadruped of the clawed kind in the western parts of Virginia. Transactions of the American Philosophical Society 4: 246-260. Giroux, C. L. and Wescott, D. J. 2008. Stature estimation based on dimensions of the bony pelvis and proximal femur. Journal of Forensic Science 53: 65-68. Huang, B. W., Chang, C. H., Wang, F. S., Lin, A. D., Tsai, Y. C., Huang, M. Y. Tseng, J. G. 2012. 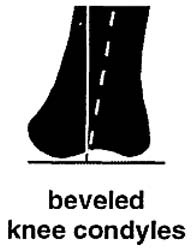 Dynamic characteristics of a hollow femur. 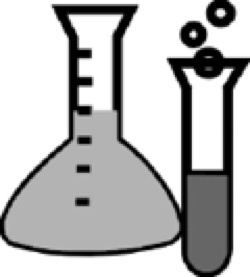 Life Science Journal 9: 723-726. Hutchinson, J. R., Famini, D., Lair, R. and Kram, R. 2003. Are fast-moving elephants really running? Nature 422: 493-4. Kappelman, J. 1988. Morphology and locomotor adaptations of the bovid femur in relation to habitat. Journal of Morphology 198:119-130. Marzke, M. W., Longhill, J. M. and Rasmussen, S. A. 1988. Gluteus maximus muscle function and the origin of hominid bipedality. American Journal of Physical Anthropology 77: 519-528. McDonald, H. G. and de Iuliis, G. 1998. Fossil history of sloths. In Biology of the Xenarthra, S. F.Vizcaino and W. J. Loughry (eds.). University of Florida Press, Gainsville, FL. pp. 24-36. McDonald, H. 2007. Biomechanical inferences of locomotion in ground sloths: integrating morphological and track data. In Cenozoic Vertebrate Tracks and Traces. Lucas, Spielmann and Lockley (eds.) New Mexico Museum of Natural History and Science Bulletin 42: 201-208. McMahon, T. A., Valiant, G. and Frederick, E. C. 1987. 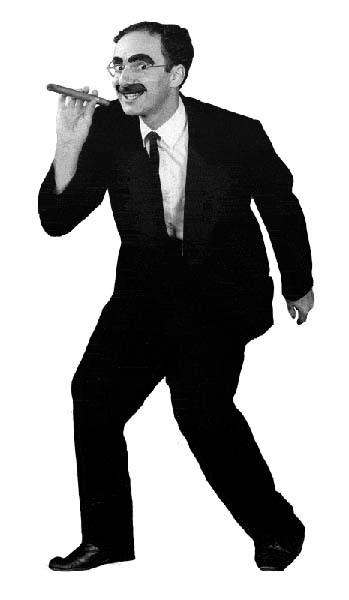 Groucho running. Journal of Applied Physiology 62: 2326-2337. Milne, N. and O’Higgins. 2012. Scaling of form and function in the xenarthran femur: a 100-fold increase in body mass is mitigated by repositioning of the third trochanter. Proceedings of the Royal Societ of London B 279: 3449-3456. Oxnard, C. E. 1990. From giant ground sloths to human osteoporosis: an essay on the architecture and biomechanics of bone. Proceedings of the Australasian Society of Human Biology 3: 75-96. Pauwels, F. 1980. Biomechanics of the Locomotor Aparatus: contributions on the functional anatomy of the locomotor apparatus. Springer-Verlag. New York. 520 pp. Peters, R.H. 1983. The ecological implications of body size. Cambridge University Press, Cambridge. Preuschoft, H., and Tardieu, C. 1996. Biomechanical reasons for the divergent morphology of the knee joint and the distal epiphyseal suture in hominoids. Folia Primatologica 66: 82-92. Ruff, C.B. 2003. Long bone articular and diaphyseal structure in Old World monkeys and apes. II: Estimation of body mass. American Journal of Physical Anthropology 120: 16-37. Schmidt-Nielsen, K. 1984. Scaling: Why is animal size so important. Cambridge University Press, Cambridge. Scott, K. 1990. Postcranial dimensions of ungulates as predictors of body mass. In Body Size in Mammalian Paleobiology: Estimation and Biological Implications. J. Damuth and B.J. McFadden (eds.). Cambridge University Press, Cambridge. Tague, R. G. 1989. Variation in pelvic size between males and females. American Journal of Physical Anthropology 30: 59-71. Tardieu, C. 1981. Morpho-functional analysis of the articular surfaces of the knee-joint in primates. In Primate Evolutionary Biology, A.B. Chiarelli and R. S. Corruccini (eds.). Springer-Verlag, N. Y. pp. 68-80. Tardieu, C. and Preuschoft, H. 1996. Ontogeny of the knee joint in humans, great apes and fossil Hominoids: pelvi-femoral relationships during postnatal growth in humans, Folia Primatologica 66: 68-81. White, J. L. 1993. Indicators of locomotor habits in Xenarthrans: evidence for locomotor heterogeneity among fossil sloths. 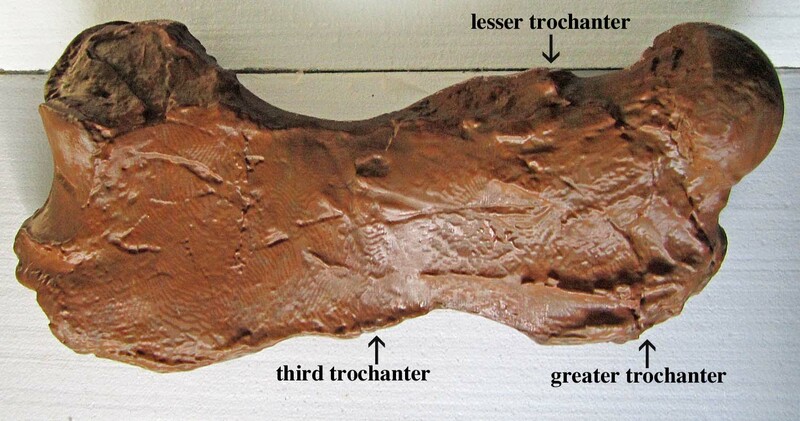 Journal of Vertebrate Paleontology 13: 230-242. Wilson, J. A. and Carrano, M. T. 1999. 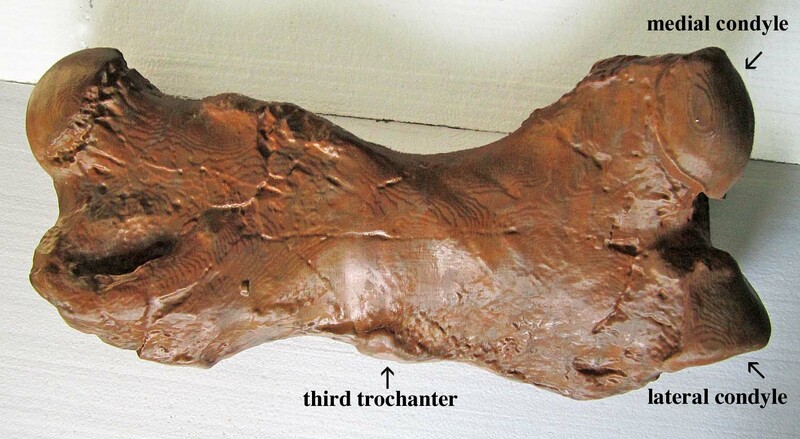 Titanosaurs and the origin of “wide-gauge” trackways: a biomechanical and sysytematic perspective on Sauropod locomotion. Paleobiology 25 : 252-267.